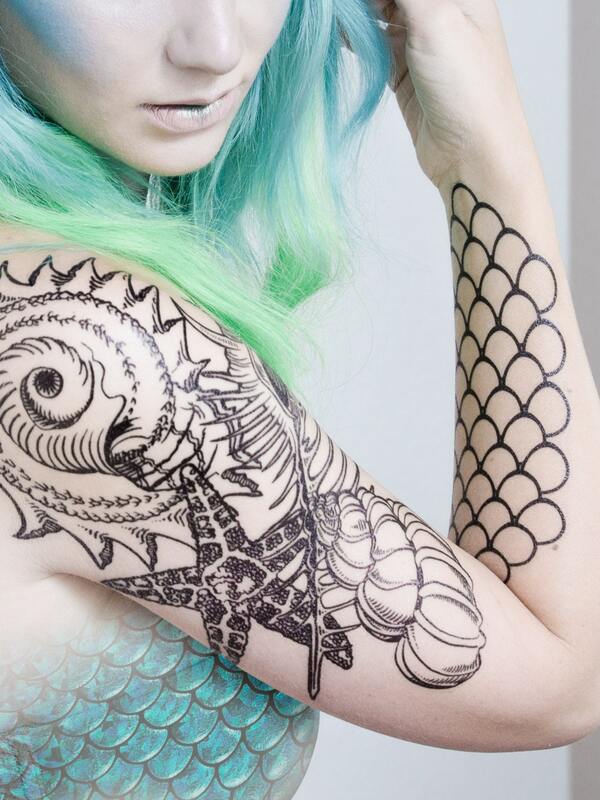 This time, I wanted something that a mermaid (or sea witch!) would wear herself. I am pleased with the result, and hope you are too! This scale design is very simple, but visually striking. For extra drama, apply one to the inside and outside of your forearms. 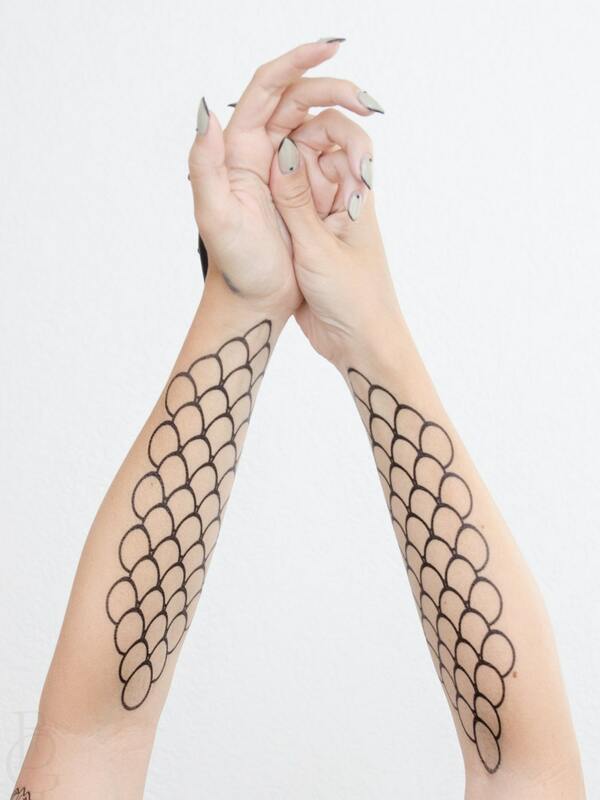 This design would also look great if applied down your spine or on your shins. Approximately 8" high and 3.5" wide.